On Sundays we gather at church as a large community, but during the week members of St Alban's meet together in smaller groups. These fellowship groups create space for us to spend time together reading and discussing the bible, and praying for each other. They are wonderful opportunities to build stronger relationships with people in our community. Fellowship groups can provide support and encouragement in the hard times, and people to celebrate with in the good times! 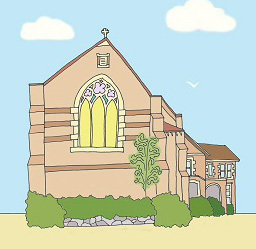 Fellowship groups run in the evenings in our homes, or during the day in the St Alban's Parish Centre. If you would like to find out more about fellowship groups, please contact Matt.